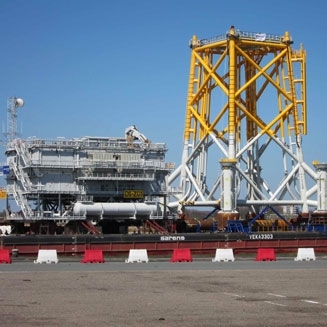 Smulders designed, produced and assembled a topside and jacket for the West of Duddon Sands Offshore Wind Farm. The wind farm is located 14 km South West of Walney island on the coast of Barrow-in-Furness. The topside was installed in May 2013. It is operational since October 2014.